Ven pongal also known as ghee pongal / khara pongal is one of the most popular South Indian breakfast recipes especially in Tamil nadu. My Mom and MIL makes it very well. Though they follow different methods, I like both the versions.I usually follow my MIL’s method as my husband Sendhil is fond of it . She makes it directly using a pressure cooker. Sometimes we make this using leftover cooked rice too. To me, its a very easy one pot meal. 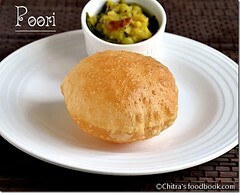 So I usually make this pongal in busy mornings & mostly for my guests adding more ghee ;). The taste and softness of pongal depends not only in the quantity of ghee but also on the quality of rice and quantity of water, rice ratio . 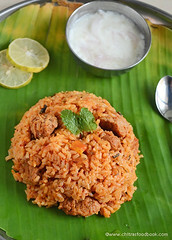 In Tamilnadu,we get pongal rice(Raw rice/Pacharisi). We use it for making sakkarai pongal and ven pongal .Here in Bangalore, I buy the costliest , good quality Sona masoori raw rice. 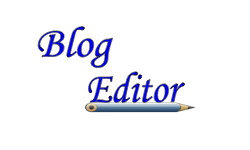 In this post,I have shared my MIL’s method. It’s a very easy and quick method using pressure cooker. 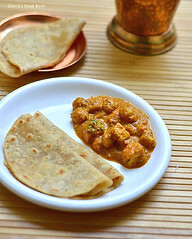 I have used moderate quantity of ghee in this recipe. If you are planning to try for your guests , add more ghee before serving otherwise just follow this recipe for the first time and adjust the amount of ghee if u wish. Check out my mom's ven pongal recipe too. Do try any method based on your liking. 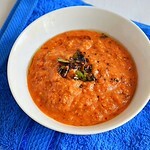 Remember pongal should be served hot to enjoy its best taste . As you all know the best side dish for pongal are coconut chutney, Tiffin Sambar and brinjal gosthu! 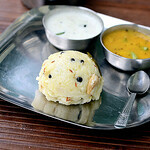 Ok, Lets see how to make ven pongal / ghee pongal with step by step pictures and a video. Take raw rice & moong dal in a bowl and wash it twice. Set aside.Chop the ginger and take it along with pepper,cumin seeds & curry leaves. Heat 1 tbsp of ghee in a pressure cooker base.When the ghee starts to heat,add the pepper corns and saute well till it starts to splutter.Keep the flame medium to avoid burning of ghee.As soon as the pepper splutters,add the cumin seeds,curry leaves,cashews and ginger bits.Mix well quickly without changing the color of cumin seeds.Add 4.5-5 cups of water and required salt. When the water starts to roll boil,add the washed rice+dal mixture.Close the cooker.When the steam comes from the nozzle,put the whistle and simmer the flame.Cook till one whistle.It takes 12-15 minutes.Switch off the flame and let the steam release. Open the cooker and mash everything well with a ladle.Lastly add 1 to 2 tbsp of ghee, mix well and serve immediately.Enjoy with coconut chutney or gosthu ! 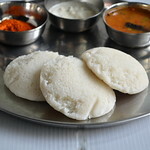 Usually vanaspati / Dalda is added in restaurants. But we all know its bad for health.. So its better to use ghee or cooking oil & ghee combination as it is low in calories too. The quantity of water completely depends on the quality of rice. 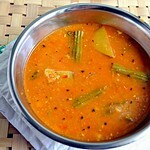 My mom adds roasted pepper powder on top of pongal along with jeera and other things to get more spicy taste. As we don’t eat whole pepper corns, she follows this way to include pepper in our food. Adding hing and ginger gives a restaurant touch. U can replace ginger bits with ginger paste or grated ginger too. 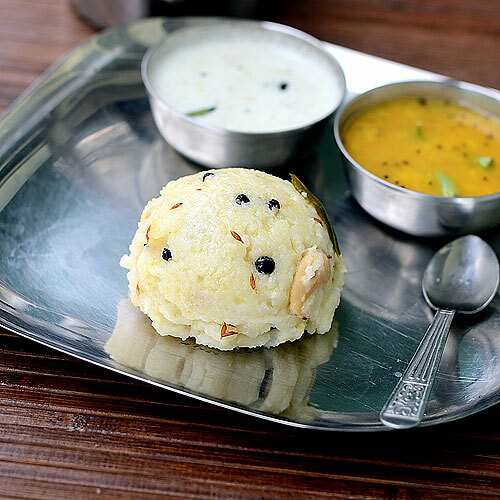 Enjoy this easy and yummy South Indian breakfast recipe with your favorite side dish ! 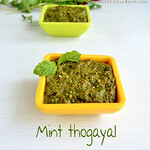 my husbands all time favourite he wll have it for thrice a day ! And as u mentioned i generally reduce the ghee and increase the oil :) have seen people using dalda :) not sure about the taste ! Lovely photos ! esp the first one rocks ! Love ven pongal a lot..I too add a mix of oil and ghee while tempering and an extra dollop of ghee just before serving..
Lovely venn pongal. I like the sweet one as usual the rest of the family loves this. Think I will give your MIL version a go one day. Seems quick. I never add salt when cooking, since the rice does not get the mushy texture. Tasty Ben pongal, mine is also a similar version but I just coarsely crush the peppercorns. 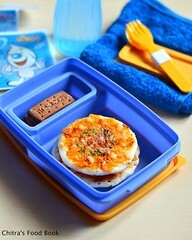 Nice click, loved the cute balti. Sorry, that was supposed to be ven pongal instead of Ben pongal, sorry for the typo. 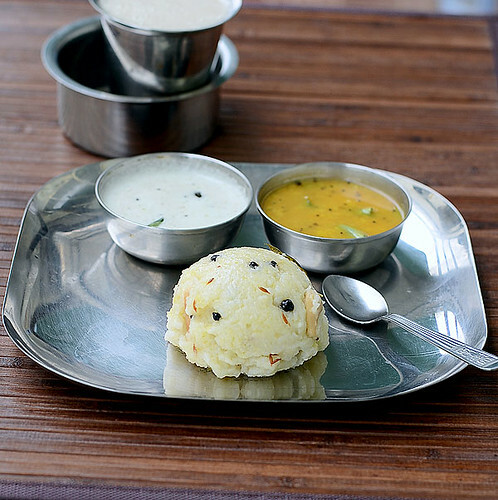 Pongal looks like how we get in restaurants.Perfectly done. 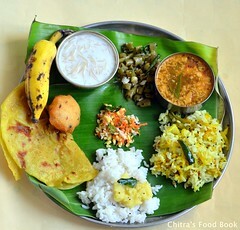 Pongal looks absolutely divine, makes me hungry. beautiful and a fav at my place. Lovely clicks. i make ina similar way but adds little milk with water to boil the rice n daal..looks super delicious..
First time to your space and nice to see the recipes with many tips and ideas. Healthy and mouthwatering Pongal..